HomeBlogNews2018 recap and Merry Christmas! With the imminent holidays, we would like to take a moment to look back on the past year. A lot has happened at Texas Digital. Time for a short-but-sweet recap! For Texas Digital, 2018 has been marked by productiveness and proactiveness. We celebrated our 15-year anniversary with a brand-new website. Also, we doubled down on our philosophy that one picture says more than a thousand words by shooting a video. Why? Because a one-minute reel says more than a thousand pictures. Moreover, Visual Management is – you guessed it – visual in nature, so it was about time to enrich our website with a proper video. Our efforts bore fruit: 2018 was a year of market acceptance. Not only have we welcomed great new customers, we’ve also entered new markets – those of education, telecommunications, and sales data, for example. Moreover, our team has been expanded with a creative services expert, who will work on making the visual part of our services even more appealing. This new Texas Digital team member is a valuable addition to our business and technology people. In short, lots of good things have happened, and greater plans are being developed. In many ways, 2018 has been a turning point, marking a rebirth of sorts. There has also been a literal birth – the son of our very own Cornelis Bonnet became a father for the first time. So we’ve entered new stages in every regard. If you ask us, bright days are behind and before us. For now, we’d like to thank you for a wonderful year. 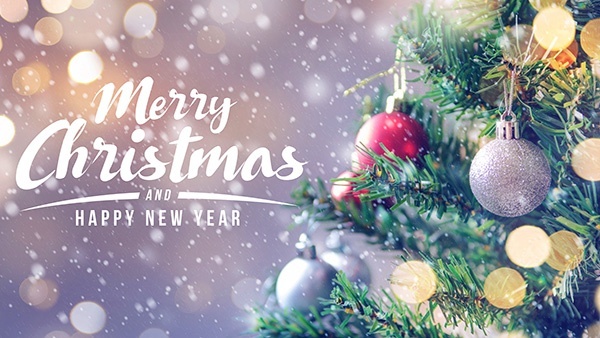 We wish you happy holidays and great success for 2019. Greetings from the entire crew! Curious to see what Visual Management can do for you in the new year? Please don’t hesitate to contact us. We’d be happy to perform a Quick Scan and discuss your Visual Management opportunities.